Collecting classic and antique cars is a remarkable hobby – transporting them requires remarkable people. Request your auto transport quote online or call our team. Owners of antique and classic cars employ much of their time to find and restore their vehicle. To ship a classic car you need an experienced auto shipper that pays extra attention and care when loading and unloading. Classic car enthusiasts take great care of their vehicles. They need to know that when their vehicle is thousands of miles away it’s in good hands. In our guide we will provide you with complete answers to the most common questions about shipping a classic car. Classic or antique automobile transport is different than shipping an everyday car and you need the right vehicle logistics company. Classic vehicles require special attention and in most cases enclosed carrier. Here you will find answers to important questions about shipping a classic automobile. How does classic car shipping work? What options do I have when shipping a classic car? How to choose an auto transport company for my classic car? How to prepare my classic vehicle for shipping? At Corsia Logistics we want to earn your business and we make shipping a classic car a flawless experience. Our custom is to educate our customers. We explain the auto transport process in details and guide you through the steps from booking your shipping service to delivery at your door. Request a car shipping quote online or call (818) 850-5258. Book your shipping service and choose first available pick-up date. Prepare your vehicle for shipping – wash and check with a mechanic. Perform vehicle inspection at pick-up by checking together with the driver. Inspect vehicle at delivery, sign Bill of Lading and pay remaining balance. In general, when it comes to moving a vehicle you have two main options – one is to hire an auto transport company and the other to book a drive-away service. When shipping a classic or antique automobile, however, hiring an auto transport company is the standard. Working with a professional logistics company is what businesses and individuals from across the country prefer. Auctions and auto dealerships always hire auto transport companies to transport their automobiles across the country. Private customers also prefer to load their vehicle on a trailer. When shipping a classic automobile the best way is always to work with an auto transport company. Check out how open auto transport works and visit our YouTube channel for more videos. Our classic car shippers will deliver your vehicle on time and with care. What options does a classic car shipping company offer? When transporting a classic car, a vehicle shipping company can usually offer open or enclosed carrier, door-to-door service, top load service, expedited service and sometimes a single car carrier service. Corsia Logistics offer all those types of auto transport services. Open auto transport is the standard method in the industry. It is the most popular and widely used type of auto shipping service. Almost 90 percent of the carriers in the country are open air transporters and thus this is also the fastest service. However, open carriers are not recommended for classic automobiles. Loaded on an open carrier the vehicle is exposed to weather and road elements and the chances of getting a chip are higher and when inside a covered trailer. When shipping a classic car, it is recommended to use enclosed auto transport trailer that will protect the vehicle from road and weather elements. Enclosed carrier is also known as covered and it could be soft sided or hard shell. This type of transport provide the highest protection against weather and road elements. When the vehicle is inside a covered trailer there is no chance of any weather related damage or flying road debris to hit the vehicle. Because of the greater protection transport via an enclosed trailer is more expensive. Door to door service is what most private customers choose. This type of service translates in vehicle pick-up from your door and deliver it to your destination address. Some residential areas have restrictions for large trucks and this means that we will pick-up and drop off the vehicle as close to the address as legally possible. If a residential or business area does not allow for large trucks to enter then customer can meet the truck at a nearby shopping plaza to take delivery or drop vehicle off for pick-up. Sometimes, for some really special cars, the owners prefer a single car carrier. This is a very specific request and it also often costs almost double the standard price, especially if the carrier is enclosed. In this case our agents have to search for a single car carrier ready to take a car on a specific route within a desired time frame. This makes the service quite costly and often it slows the whole shipping process because very few of these carrier roam the country. Most of the single car carriers only serve locally and to book them for a long distance trip it costs a premium. When the vehicle is loaded on the top deck of a trailer this is called top load service. This service can be requested for an additional charge of about $75. It is a bit more because the top deck guarantees against possible leaks from other vehicles and offer higher protection from flying road debris when the shipping on an open air carrier. So, if you don’t want to pay the price for enclosed carrier, for a small fee you can request a top load of your vehicle on an open auto transport carrier. Classic car shipping costs more when you opt for higher protection with enclosed trailer. As mentioned already, keep in mind that the price of enclosed is about $350 more than the price for open trailer. This is due to three main reasons. First, enclosed carriers are only about ten percent of the whole fleet in the US which makes them less available to schedule. Second, there are less enclosed trailers because they are specialized and more expensive to own and maintain. The third important reason is insurance. For enclosed trailers, to transport high-end sports, classic and luxury automobiles they must have coverage often as high as one million dollars. In general, the cost to ship a vehicle depends on a few main factors. It is in your best interest to understand them so you know what is the real cost of shipping a classic car. A realistic price is always based on distance and location, vehicle make and model, type of carrier, whether the vehicle is running or not and supply and demand. One of the decisive factors is always supply and demand fluctuations. So, when you ask yourself how much does it costs to ship a car keep in mind that this is what ultimately decides the price. When the supply is higher than demand prices go up. Less available carriers on the road means higher prices for the customer. In the auto transport industry customers compete against each other. Higher paying vehicles usually ship first because drivers always prefer to take a higher paying load. Thus, if you are not paying the current market price you end up waiting longer for your vehicle to be picked up. That is why we explain to customers that a realistic price is what will ship their vehicle in a timely and professional manner. A realistic rate is positioned in the middle of the price scale, between the high and the low rates. This we call the golden mean – a price that is neither too high nor too low. That is why we recommend that you request multiple car shipping quotes and then compare the rates. This will give you an idea of the price scale and help you choose a realistic price. It is important to prepare your classic automobile for shipping. What you should do is wash the interior and the exterior. To have a clean car, especially on the outside is very important for proper inspection. When the car is clean you will be able to see any preexisting damages and mark them on the Bill of Lading. This way at delivery, when you inspect the vehicle again, you will know of any new scratches. In the unfortunate event of any damage, you will have your pick-up and delivery inspection reports to compare and use to file a claim with the insurance. Another important thing to do is check your vehicle with a mechanic. When shipping a classic car it is very important to make sure it is running, if it has been booked as running. When the drivers comes to pick-up the vehicle and it is not running you may have to pay for rebooking if this driver is not equipped to load a non-running vehicle. When we know a vehicle is not running, we reserve a carrier with a winch or fork lift to load it. Thus, if you don’t want to pay extra make sure your classic car can start and move on its own power. The third thing to remember is to remove any detachable parts. This could be spoilers, special side mirrors, new back or front bumpers or any top racks. Additionally, if your car has a soft top you need to make sure it has been firmly secured and closed. Learn more, have peace of mind. The car shipping company has to be licensed with The Department of Transportation and insured to guarantee that the vehicle is fully covered while in transit. Moreover, the relocation coordinators have to understand the classic car transport process completely. Corsia Logistics is fully licensed and our team is experienced in shipping classic cars. Our team understands the importance of providing safe auto transport for custom, exotic and classic vehicles. We work with the most reliable and experienced auto transporters to provide safe and sound shipping of your automobile. Speak with an agent today and they will explain the process of shipping a classic car. 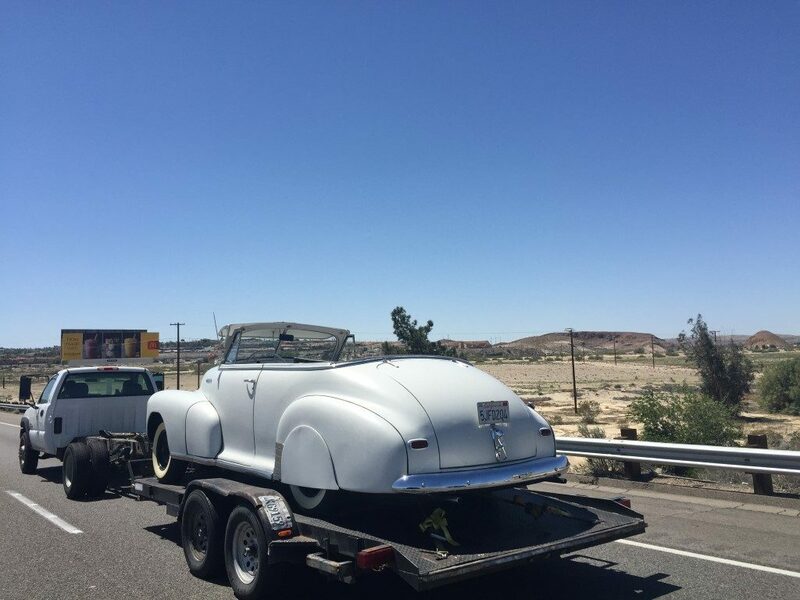 We offer classic car hauling service nationwide. No matter where in the country you are shipping a classic vehicle, expectations of quality auto transport service is a reasonable demand and we provide it daily. Whether this is a car just purchased online, or being moved to a car show, or to your vacation home, we will provide reliable enclosed or open auto transport. Corsia Logistics’ team knows how much time, efforts and money you have invested in your classic car. That understanding helps us see the true piece of art you are trusting in our hands inspiring us to protect it by providing the best auto transport service. Request a car shipping quote online or call. Our team works hard every day to make sure our customers are informed and understand the auto transport process. We will answer all of your questions and help you feel at ease when you are shipping your classic automobile. Your peace of mind and your vehicle’s safety is our priority. For additional information and to for answers to more car shipping questions please contact us online or visit our Hot it Works section or our Questions page. Thank you.